At a glance, it would be easy to write off Kingdom Come: Deliverance as a Skyrim clone short all the magic and fantasy that makes The Elder Scrolls games what they are. At a glance, you’d be wrong. 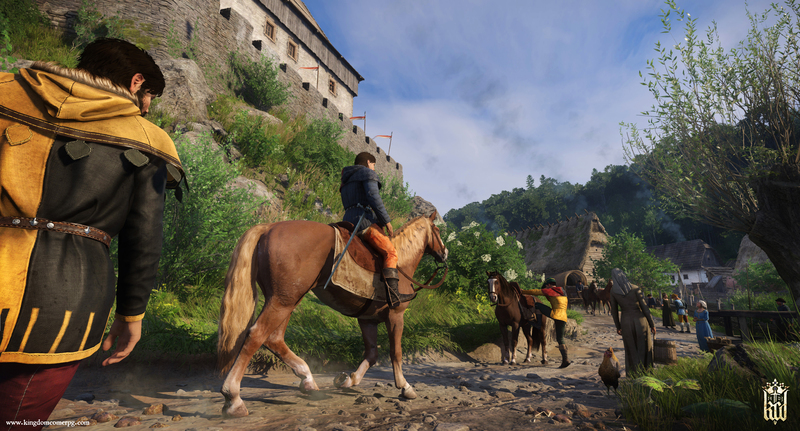 Sure, there are many similarities between the two, but just as two first-person shooters can vary wildly from one other at a nuanced level, Kingdom Come: Deliverance deserves the chance to stand on its own merits. 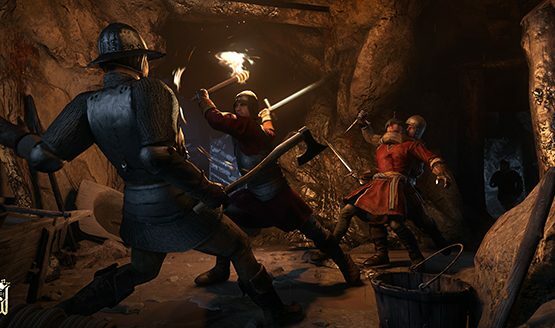 Although Kingdom Come: Deliverance is a fictional game, its wider setting is true to history, with the locations and arching cast of cast characters pulled straight from the annals of medieval times. You won’t find dragons or trolls roaming the landscape, and your lethality is entirely dependent on your skills with physical weapons rather than shouts or arcane abilities. Real-life buildings are recreated in great detail to maintain authenticity. Jumping into the map screen shows a beautiful interactive piece of art based on medieval designs. Kingdom Come houses so much more weight when you realize the breadth of how much it is based on a far gone but not forgotten reality. What struck me most were the elaborate systems at play through every quest and decision. Everything ties together. Though your speech skill might be high, the success of an attempt to influence any given individual will be impacted by the clothes you are wearing and the equipment you have. Guards might be more keen to speak with you if you are wielding a bloodied sword. Higher class citizens may be reticent to interact if your clothes look like those of a lower class citizen. It’s not as simple as being able to charm people through a leveled up speech stat. Likewise, strength is oft determined more by your skill with weapons than it is by powering up or getting better weapons, meaning that you could easily fall to an early enemy at any point in the game if you let your guard down. Combat is highly strategic, using a star-based system of attacks and parries. Fail to properly defend and a few well placed critical blows will send you to your death.While having a nicer sword will certainly make a difference, Warhorse wants to make sure that all of their systems play hand-in-hand to give a deep and realistic experience to the player. 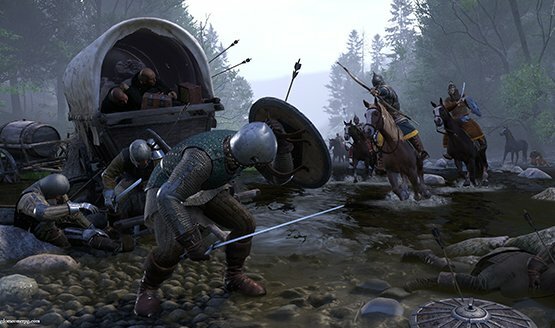 Failure does not mean loss in Kingdom Come: Deliverance. If you make a decision, you will have to live with it. Your speech check failed when trying to convince the drunk tp pay the money he owes? You can try stealing it from him, or maybe you can settle it like a couple of monkeys and punch each other until you get what you want. If the fight fails, you can come back later with a crew of friends to try it again in a completely unfair four-on-one bout. Every part of the game provides this level of nuanced decision-making that will let you play exactly how you want to, seemingly in a less gamified way than most games currently do. This web of choices extends to reputations with town and individuals, and politics of the country, again based on real life politics of the time. Every one of these systems weaves in and out of each other to provide a game that seems to have exceptional depth. Often times, politics are just as if not more important than fights. While a clean left hook or a sharp blade can solve some problems, it’s the subtlety and tact that makes the real difference. Making some of this decisions even more difficult, the world continues to move with or without you. You aren’t the linchpin. You can miss quests and events if you aren’t present. Sidequests may go away or fail if not completed in time. Again, this failure does mean loss. It just means that the state of the world has changed from what it was before. Your story continues on this new path and you must adapt to any consequences that may have come as a result. I could honestly go on and on about all of the small details that Warhorse is using to make Kingdom Come: Deliverance a gem. Armor with helmets will obscure your vision. The bow begins shaking realistically if the string is held taut too long. Enemy armor can be used to infiltrate their ranks but will set your side off against you. Every feature is more than just a bullet point. Together they are the woven soul of what makes Kingdom Come: Deliverance more than a Skyrim clone. The extent of everything even seen in the brief E3 appointment is more than enough to pique my interest, and the promise of more to come is sufficient to have me on board for this fantastic adventure through medieval history when it releases next year. Kingdom Come: Deliverance releases on February 13, 2018 for PS4, Xbox One, and PC. Check out all of our E3 2017 coverage.